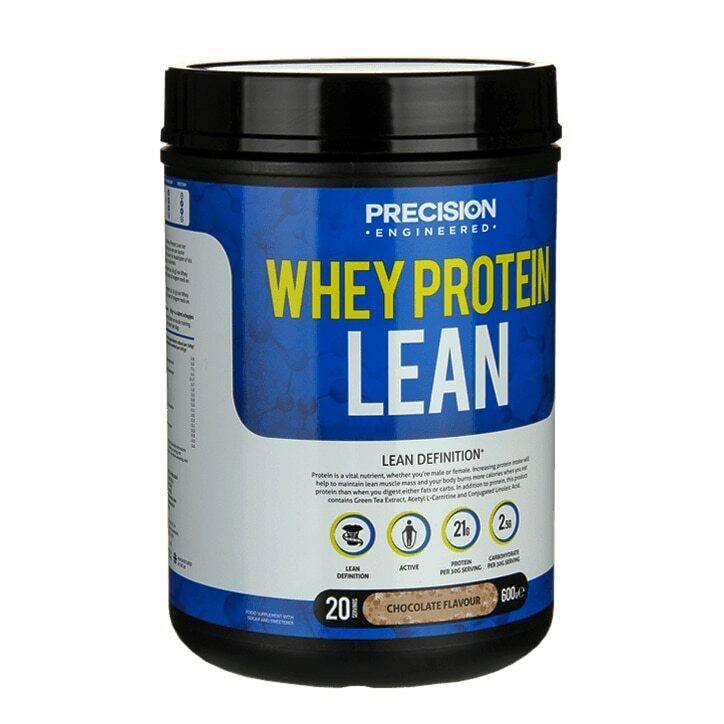 Precision Engineered Whey Protein Lean Powder Chocolate is rated 4.7 out of 5 by 23. Rated 5 out of 5 by magui555 from Great taste and very filling! I recently purchased this product and I'm really impressed with it! It has a delicious taste. I've made it with milk and added a banana each day. I believe something in it has helped diminish my sweet tooth. Perhaps it's the vitamins. I don't know but am pleased. Rated 5 out of 5 by macca12 from lean protein review i bought this product a month ago and am already achieving the definition i previously struggled to achieve without putting on any excess weight. Rated 5 out of 5 by st25 from Excellent choice for a lean body! This product really does its job and I'm very satisfied even with the taste. Rated 5 out of 5 by Victoria11 from Tastes amazing! The chocolate flavour in this is brilliant and is even great mixed with just water (tastes just like normal chocolate milk). It mixes very easily too. Great value considering I bought it for half price!